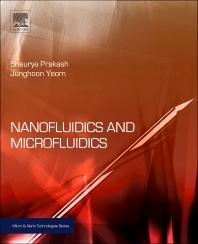 To provide an interdisciplinary readership with the necessary toolkit to work with micro- and nanofluidics, this book provides basic theory, fundamentals of microfabrication, advanced fabrication methods, device characterization methods and detailed examples of applications of nanofluidics devices and systems. Case studies describing fabrication of complex micro- and nanoscale systems help the reader gain a practical understanding of developing and fabricating such systems. The resulting work covers the fundamentals, processes and applied challenges of functional engineered nanofluidic systems for a variety of different applications, including discussions of lab-on-chip, bio-related applications and emerging technologies for energy and environmental engineering. The fundamentals of micro- and nanofluidic systems and micro- and nanofabrication techniques provide readers from a variety of academic backgrounds with the understanding required to develop new systems and applications. Case studies introduce and illustrate state-of-the-art applications across areas, including lab-on-chip, energy and bio-based applications. Prakash and Yeom provide readers with an essential toolkit to take micro- and nanofluidic applications out of the research lab and into commercial and laboratory applications. Professionals, commercial R&D, graduate students and academic researchers involved in the research and development of micro- and nano-fluidics. NRC Research Associate, Naval Research Laboratory, Washington D.C.